Our booth is ready for customers at the 2017 Odessa Quilt Show. We enjoyed greeting old friends and making new ones. 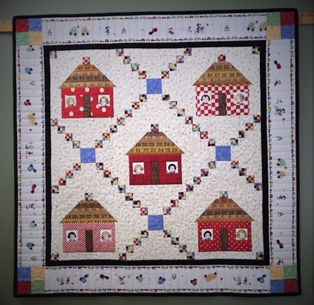 This cute wall hanging of "little red schoolhouses" is my retirement gift to our former superintendent. 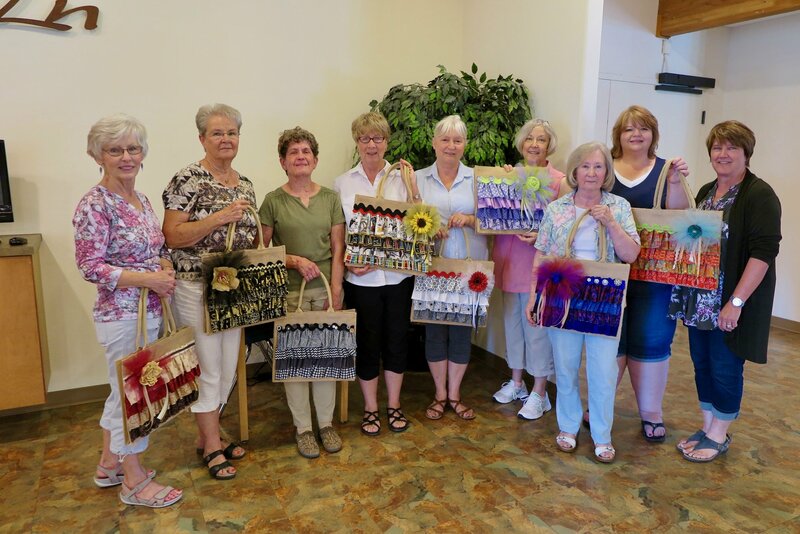 After working in the education field for thirty-six years, Suellen decided it was time to enjoy more time at home with her family and friends. The pattern is "Going to Ruthie's House" found in the book, Playtime to Bedtime Quilts, from In the Beginning. My favorite twist is the ruler fabric I used for the roofs, transforming Ruthie's houses into schoolhouses! I made this quilt as a retirement gift for two special teachers who taught in our school district for many years. Sam taught junior high science for thirty-one years and his wife, Jeanie, was our Special Education teacher/director for thirty years. This scrappy signature quilt was made from fabrics in my stash. Staff members signed blocks and it came together to make a beautiful quilt full of memories for the Reads. Quilts filled with memories are so much fun to put together. Everyone at school wishes this awesome couple a very happy retirement! 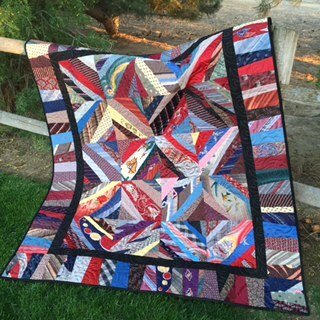 I made this quilt as a graduation gift for a young man from silk ties that belonged to his grandfather and great-grandfather. The pattern, "Memories", by Bev Getschel was in the December 2011 issue of Quilter's World. Over Spring Break I helped my friend Kim make her first quilt. It's a baby quilt for her first grandchild who is due to arrive this summer. She surprised the mommy-to-be with this super cute Mother's Day gift. 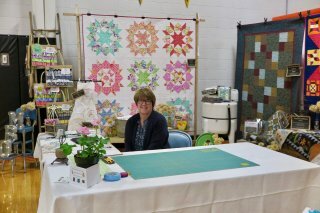 Kim entered her quilt in our local quilt show and won a ribbon for "Best First Quilt". 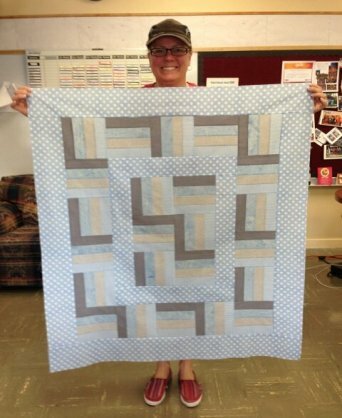 It was so much fun watching the joy making this quilt brought Kim.